Nike adapter device can count the number of steps you take. I wanted to see how this was technically possible by decoding the information which the foot pod sent to the iPod. Here are my attempts to get an arduino to understand this data traffic. 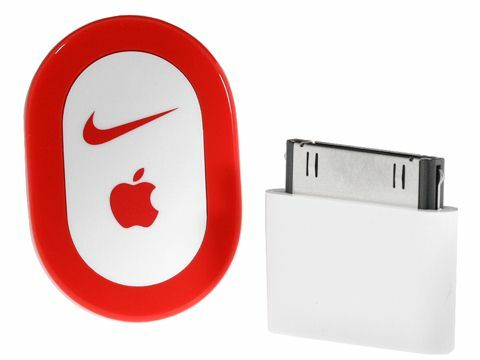 The Nike adapter is not RFID . 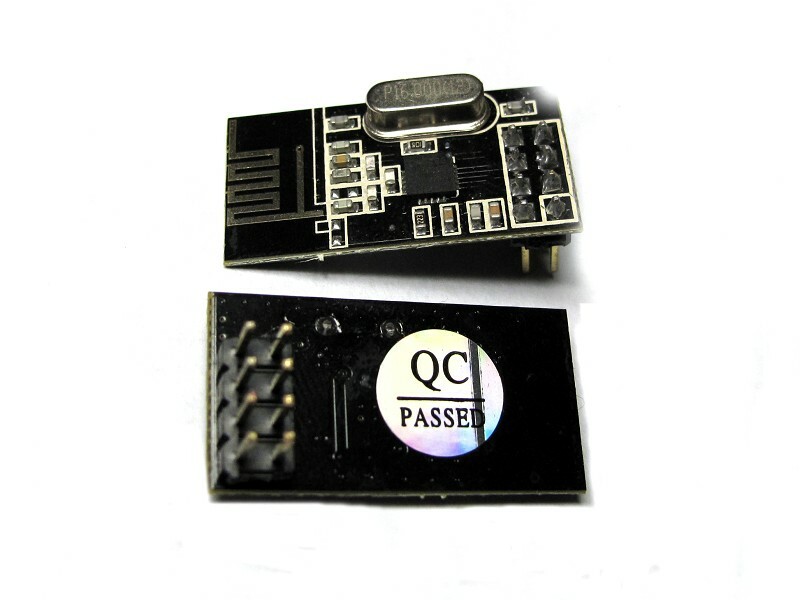 The foot pod does transmit a unique ID, which it transmits in the 2.4GHz band. The foot pod transmits a ‘hello world I am XYZ’ every time the user takes a step. 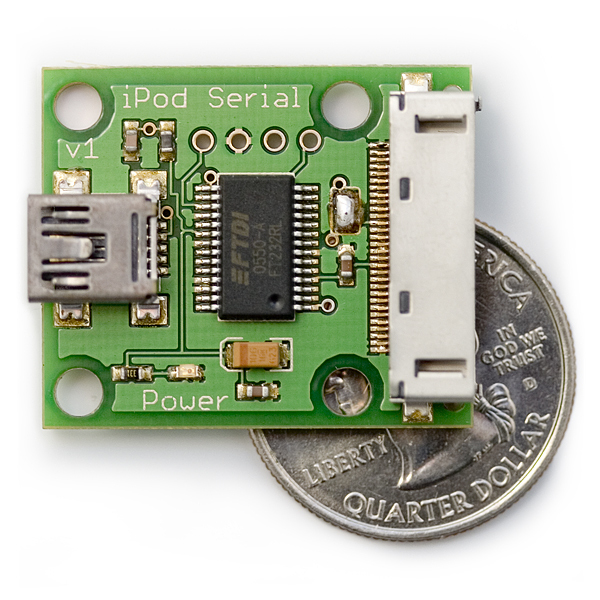 There is an interface unit specifically for the Nike adapter developed by sparkfun which interfaces to the receiver that normally is connected to the iPod. This is a USB interface and there is a visual basic programme to support it. Very cool. 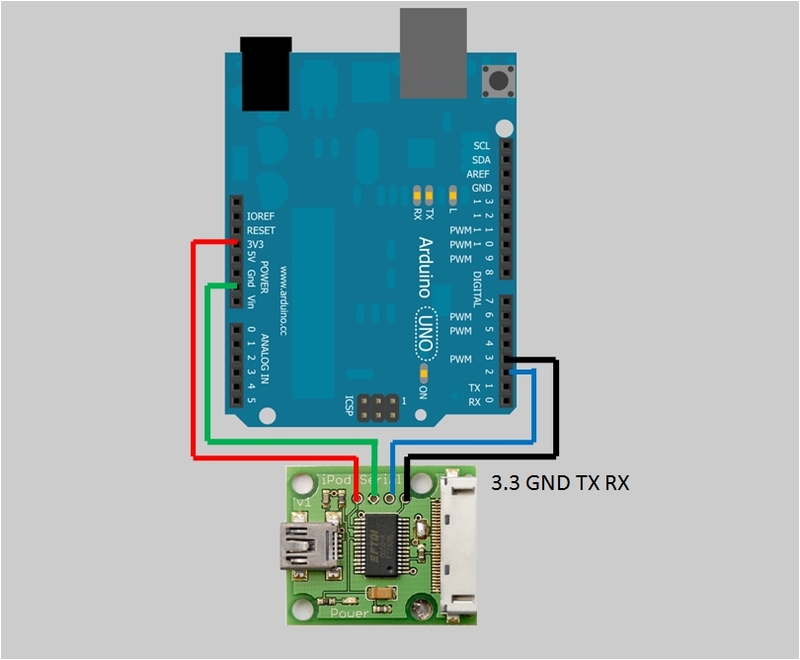 Below you can see how the sparkfun USB interface is connected to the arduino. The VB software you can download from the sparkfun site. 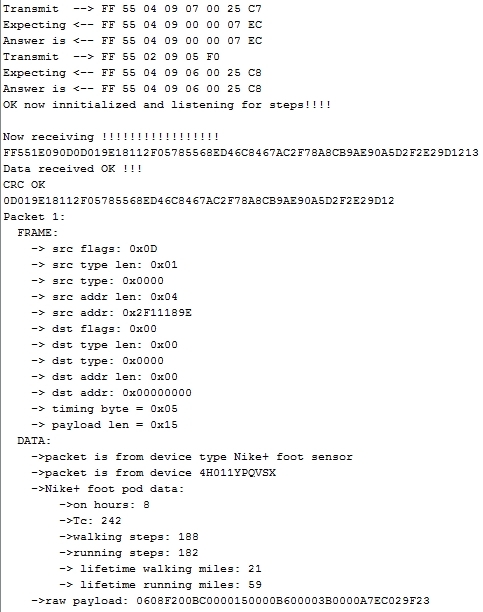 This is all very well and it decodes the ID or as it turns out part of the ID for the Nike adapter and displays the rest of the data as an undecoded set of data. Then i discovered the site of Dmitry Grinberg which solved the riddle of what the data meant and he also used a standard 2.4GHz interface to connect to the Nike adapter sensor. Of course this was a nice challenge for the arduino to see if this code could be solved using the arduino. Here is the link for the code that does just that. David Chatting also deposited some code on Dmitry’s site wich contains an arduino library which also decodes the Nike adapter data stream. I have not tested this. Then there is roberts code in perl and i am sure there will be others if you look. 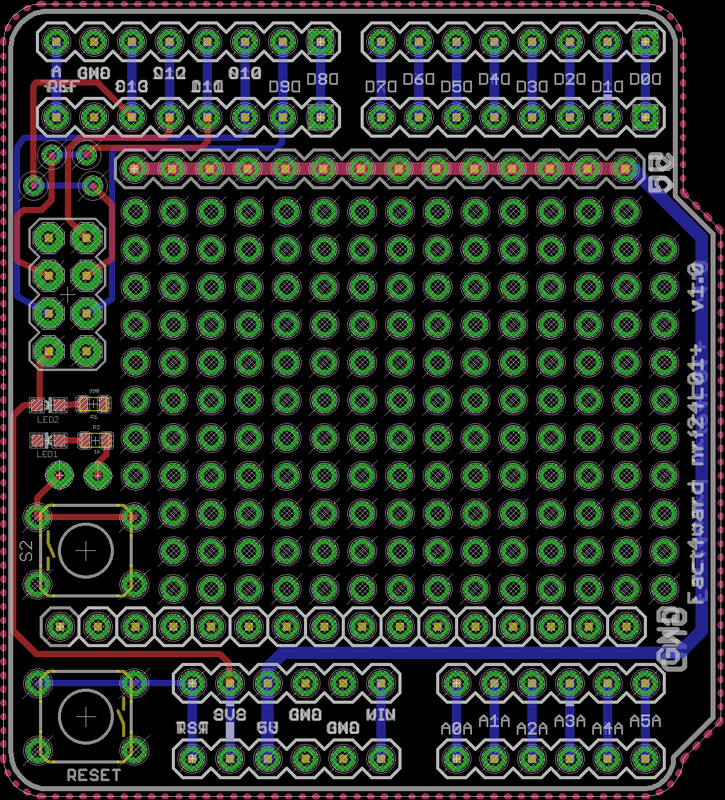 Innitially I had not yet made the hardware directly with the nrf24L01 components and used the sparkfun interface. 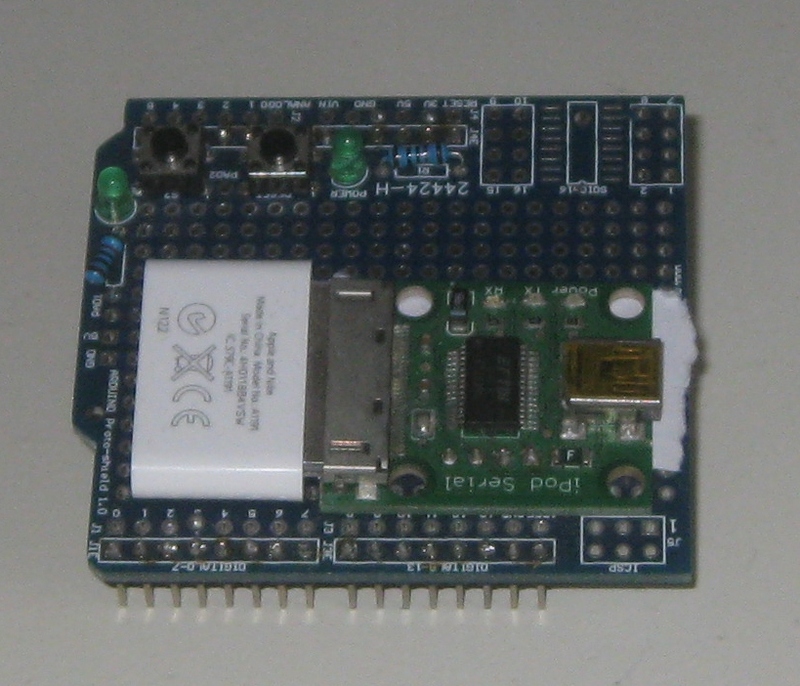 Then i discovered that interfacing with an nrf24L01+ was rather easy as you can use the receiver pictured on the below which is remarcably cheap and also contains an arduino software example. 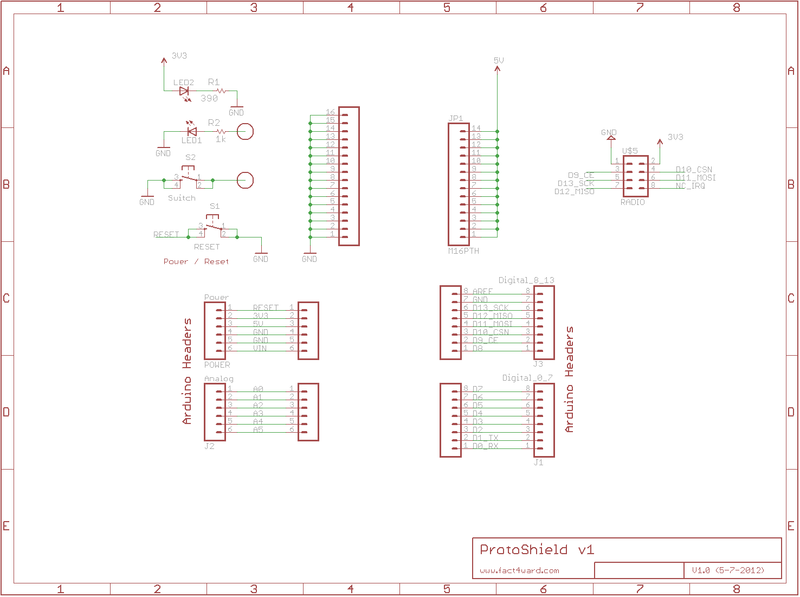 I have designed a nrf24L01+ prototype shield which has the connector for this receiver. It will be available in the shop once it has been fully tested. Finally you can see the output from the program when talking to a Nike adapter unit.